Few days ago I received a call late night to share my thoughts about Sify stopping their internet service for homes (retail). Frankly I wasn’t aware they were still providing that service. 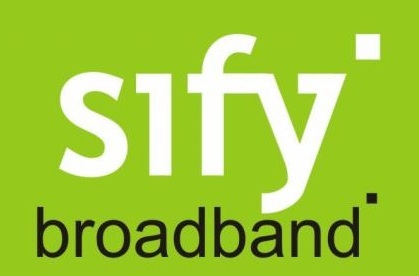 Sify was ranked #3 in 2005, not it is at #18 with under 50,000 customers. The first ones to introduce professional cybercafe chains in India, iWay. They had 3,000 cafes earlier, now very few are operational. Sify will focus on enterprise as it is more rewarding. What Sify did in earlier was relevant and made sense. But the internet landscape has changed a lot over the last 10 years. Getting a dialup connection from govt owned VSNL (now owned by Tata) was a pain. One had to fill an application, stand in long queues. Dialup connections were way too expensive as we had to pay for the phone calls and dropping of calls were common. Providing broadband connection to homes is not cheap. The last mile connectivity cost is really prohibitive. The other telcos like Airtel, BSNL provide voice and data services, hence have a better opportunity to earn more from each customer. Earlier people had to go to cyber cafes as connectivity was limited. Today mobile broadband is available to almost every user. And for the youth internet means Facebook and Facebook. Nothing more. My 12 year old nephew recently told me never uses email because he prefers Facebook Inbox. Quite a revelation. Just yesterday I received an email from Airtel about the increase in price in my broadband connection. My earlier plan was Rs 1400/month, 4 Mbps, above 30GB usage would reduce the speed to 256k. Now it is Rs 1475/- but I can use upto 80GB. If we don’t pay more telcos in India may not even survive. Can Govt Help To Increase Wired Internet Penetration? As mentioned earlier last mile connectivity costs a lot in India. Also telcos have to take permission for cutting road to lay the cables. Costs a lot. India should learn from South Korea – it should lay the cables all around the city and rent out the infrastructure to telcos. Wish India had a Minister for Internet.